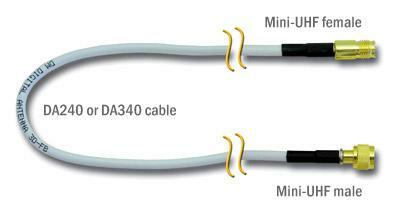 Easily extend your PowerMax DA4000SBR, PR or MR repeater's inside antenna by 10'. For the SBR and MR repeaters, this cable attaches between the repeater's inside antenna (135-RD) and the repeater unit. For the PR, the cable attaches between the repeater unit and the included 15' cable.